Yeah, things have continued to be a little crazy around here so I haven't been writing as much. 4.007 cap hit. Yeah. That's about 1 million less than the cap hit we've got for him right now. Except it's not quite 1 million less. 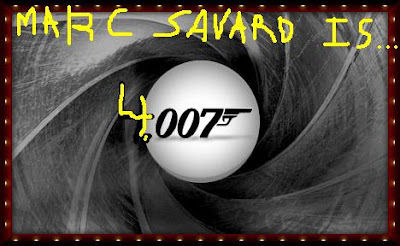 Marc Savard passes like he was James Bond seducing a woman, or killing a goon, or whatever, is what I'm saying.